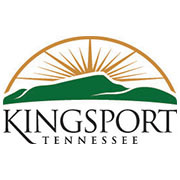 Kingsport is pleased to announce it has received Government Finance Officers Association (GFOA) Distinguished Budget Presentation Award for its budget. When a Distinguished Budget Presentation Award is granted to an entity, a Certificate of Recognition for Budget Presentation is also presented to the individual(s) or department designated as being primarily responsible for having achieved the award. City Manager Jeff Fleming and Budget Director Judy Smith received the certificate. For more information, please visit www.gfoa.org.